Gurgaon-based One MobiKwik Systems Pvt Ltd, which runs online recharge platform and mobile wallet venture MobiKwik, has raised $50 million in its Series C round led by Japan's GMO Payment Gateway and Taiwanese semiconductor company MediaTek. 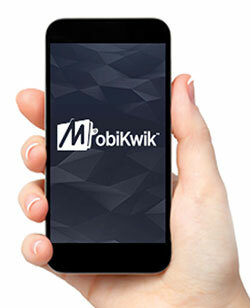 Existing investors Sequoia Capital and Tree Line Asia also participated in this round, MobiKwik said in a statement. The funds will be used for product innovation, expanding the team and user growth, it said. MobiKwik didn't disclose the valuation at which it raised the fresh funds. But co-founder and CEO Bipin Preet Singh said its valuation has significantly increased, though he didn't specify whether he was referring to the Series C round in particular. The startup claims that its gross merchandise value has grown 250% annually for the last four years. The company had, in April last year, raised $25 million (over Rs 150 crore then) in a Series B round of funding led by Tree Line Asia. Cisco Investments, American Express and Sequoia Capital also participated in that round. Earlier, it had raised under $5 million in a Series A round from an unnamed VC firm. This is believed to be Sequoia. The VC firm had also previously backed Zaakpay, another payments venture started by the same co-founders. Founded in 2009 by Singh and Upasana Taku, MobiKwik enables prepaid mobile, DTH and data card recharges, post-paid mobile bills payment and utility bill payment for electricity, gas and landline connections. It also offers these services via SMS, phone and apps that are available for Android, iOS and Windows platforms.